A lot of students are either wrapping up the first semester, or are a few weeks in to a new semester. Now is the time to look back at the first half of the year and then set smart goals for the remainder of the school year. Taking time to write out goals for the next several months or weeks can give you a motivational boost. Once you write down what you would like to work toward, you have placed a finish line for yourself sometime in the future. And now your job is to reach that finish line. Each semester, we sit down with our students and help them put their goals in writing. A paper version of goals boosts the accountability factor, and it provides something to refer back to as progress is made toward a particular goal. Usually we ask our students to set at least two academic goals and one non-academic goal. Goal brainstorming can be challenging, so setting a non-academic goal can help get the ideas flowing. Great! Sounds really healthy and helpful! The problem is my goal to “drink more water” is not a SMART goal. This goal is not Specific, Measurable, Action-oriented, Realistic, or Timely. Goals need to be clearly defined. In my example, “drink more water,” I have not been specific enough because I haven’t defined what “more water” means. Am I going to drink one more mouthful of water each day. That would technically be more water. Am I going to guzzle an entire water cooler? Probably not. Without a clear definition, a goal is just an idea. A nice idea, but it might wind up being an idea that never gets achieved. What if a student has the goal to “get good grades.” Again, excellent. I love to hear this. But we have to define what “good grades” are. Passing the class? Raising current letter grades by another letter grade? Each student’s definition of a “good grade” is different, so we help our students clearly define what a good grade will look like. Goals need to be measurable. We need some way to gauge if progress is happening. 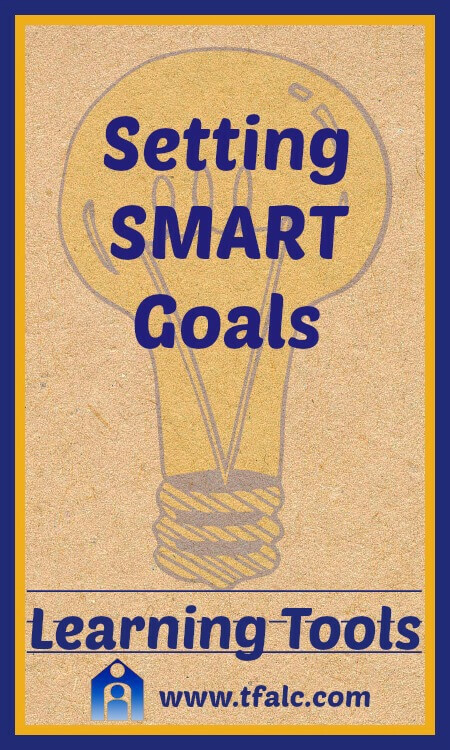 Setting “specific” goals can help make a goal measurable. For example, if I say “I will drink 64 ounces of water each day” this is already much more specific than what I started with. I have also given myself a way to measure my progress. Let’s say in my first week of drinking more water I drink 48 ounces each day. I can keep track of that number and measure the progress I’m making toward my goal of 64 ounces. Tracking progress and seeing progress do amazing things for motivation. Just another one of the superpowers of goals. How can we make our “get good grades” goal measurable? What if change the goal to, “Get Bs in all of my classes.” Using online grade books and completed homework assignments, a student will be able to measure his/her progress toward meeting this goal. Have you ever heard the saying, “Dreams are goals without a plan”? If you aren’t sure how a goal is going to be realized, will you ever get to realize that goal? I think a lot of us would like to “drink more water” or “eat more vegetables” or “get more sleep.” But if we never sit down and think about how that is actually going to happen, it probably won’t happen. How do I know this? Because I’ve had the goal to “drink more water” since the beginning of December. And now, almost two months later, I still have the same goal and I still haven’t done anything about it. Why? I haven’t made a plan. So here’ s my chance, feel free to join me on this one. Helping our students set goals involves a lot of steps, and the action plan to realize their goals is a really big step in the process. We help guide our students to think of ways they will be able to raise their grades. A lot of times we’ll hear them say that they’ll just “try harder,” but they’re already trying. Action plans for students include concrete suggestions for how they will raise their grades: get those homework assignments in on time, take better notes, improve study skills, and so much more. We support our students to make their action plans happen. So, we have specific, measurable, action-oriented goals. Great! We’re on our way. But now here’s the big question. Is my goal realistic? Is it something that I could actually manage? Is it doable? “Drink 64 ounces each day by drinking two Nalgene water bottles. One bottle by 12pm, and the other bottle before bedtime.” Completely realistic. Nothing about that goal is out of my reach. Drinking that entire water cooler? Probably unrealistic. Helping our students see and understand what can be accomplished in a semester, a month, or even a week is all about helping them understand what is realistic. And a lot of individual factors are at work here, so we look carefully at a student’s classes and write out the most realistic goal possible. A bit of a stretch is okay. When you set a goal, make sure you are also setting a timeframe. Again, something that helps boost the accountability factor. You have to reach that finish line by May 31, or whatever deadline you decide is realistic. Most of our students set academic goals with the end of the semester as their finish line. Pointing out this timeframe and making a set deadline date part of the goal-setting process is important. This also officially makes a goal a S-M-A-R-T goal. Specific, measurable, action-oriented, realistic, and timely. These are the things that turn ordinary dreams, ideas, and wishes into SMART goals. Try it out for yourself and see what you can accomplish. Better yet, share this post with another person and help someone else set and achieve a SMART goal.